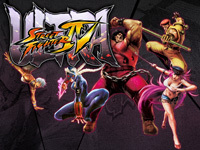 Capcom annouced a new version of Super Street Fighter IV - Arcade Edition during the EVO 2013 in July. Ultra Street Fighter IV is finally available, it runs on Taito Type X³ and uses NESiCAxLive fuctionnalities. The game has been totally adjusted thanks to feedback from players around the world, pro gamers consulting,... All characters feature improvements and there are 5 new characters: Poison, Hugo, Elena, Rolento and Decapre. The gap between the higher and the lower characters has decreased to have a larger selection choice. New features have been added. On one hand, the "Red Saving Attack" that decreases the Super Combo gauge but fills the Revenge gauge heavily. It's possible to dash cancel it. On the other hand, the new "Ultra Combo Double" mode allowing to use both Ultra Combos I and II is added. However, damage is a bit reduced. Fighting game tournaments are not uncommon. Sadly, the same can't be said about racing games. 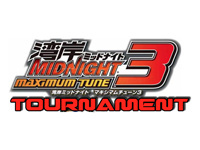 For speed fanatics out there, a big Wangan Midnight Maximum Tune 3 tournament will be held this weekend at the Las Vegas arcade in Soho, London. This knockout tournament will be held on 4 machines simultaneously; players will be divided into groups of 4 in a random draw. A race will be held between the 4 members of the group at the end of which the two best players go to the next round, the drivers who came third and fourth will be eliminated. The use of a savegame card is not mandatory but is of course encouraged. Located on Wardour Street in Soho, the Las Vegas arcade became the meeting place for arcade game loving Londoners since the closure of the Trocadero arcades. The action takes place in the basement, the ground floor being filled with jackpots (there's also a Metallica pinball table there). Dance game tournaments (Pump It Up! and DanceDanceRevolution) are regularly held there but the Wangan Midnight tournament is a first. See you on Saturday, April 19 at 15:00 in the basement of the Las Vegas arcade on Wardour Street in London for the Wangan Midnight Maximum Tune 3 tournament organized in cooperation with UK Arcade Racers. This is also an opportunity to show Bandai Namco Games the interest in this series in Europe because at this time, the release of Wangan Midnight Maximum Tune 5 on the old continent is a nothing but a sweet dream. If you can be there, please confirm your entry on the Facebook event page. But first, be sure to read the full rules at UK Arcade Racers blog. Warning! Aliens landed in Belgium! You can now play the deluxe version of Aliens Armageddon at the Reflex arcade in Oostende. The latest lightgun shooter from Play Mechanix offers non-stop action with continuous xenomorph massacre. The action takes place in the near future where aliens have invaded planet Earth. Your role is to help the surviving humans to leave the planet. The game reminds Terminator Salvation but has a larger screen (55" instead of 42") and is even more nervous. Be prepared; creatures will leave you no respite! In addition to the Reflex in Oostende, you will also get the chance to play this game next week at Charleroi's funfair (starting on Saturday, April 19). You'll find the game at Coney-Island mobile arcade. This arcade will stop at Namur in July, Charleroi in August, Tournai in September and Liège in October. 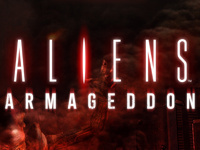 You have no excuse to miss Aliens Armageddon which already promises to be the best shooter of the year! A new character is playable in Guilty Gear Xrd -SIGN- v.1.02 that is out today: Ramletherl Valentine. This is a mysterious character who, although having the appearance of a girl, is not human and has declared war to the whole world. Arc System Works also made some adjustments and bug fixes. 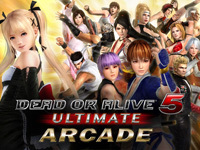 Dead or Alive 5 Ultimate: Arcade Ver.1.05 is available today. A new character is added: Phase-4 (voiced by Houko Kuwashima), a clone of Kasumi that is the final version of Alpha Project (video). This update also adds new costumes for existing characters and if the player chooses a random costume, the selection remains stored on his Aime card. A bug has been fixed: in case of power outage, when the game started up again it happened that the game displayed funny graphics... Adjustments were also made to characters moves. Deadstrom Pirates update is out today. It is available as a complete cabinet or as an upgrade kit with decals to transform an old machine in Deadstorm Pirates Special Edition. The cabinet features a large LCD screen and 5.1 sound system. Two new stages can be selected at the start: "Tower stage" where the players glide from the tower top at full speed and "Fort stage" where they explore an eerie fort while clearing it from the enemies. The final stage is now available at the start. A new end movie has been added. 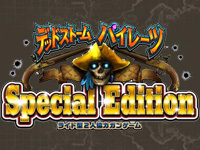 Deadstorm Pirates Special Edition will also be released in Europe. Shining Force Cross Exlesia Ver.B was released yesterday. With this update, Sega wanted to make the game even more attractive. A new game rule, the "Ultimate Rush" now allows 8 players to play cooperatively. To maintain the interest of veteran players, new bosses, quests and many equipment items have been added. Players also have access to a new special stage: "Elysium Event". 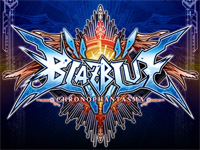 BlazBlue Chronophantasma ver.1.10 is out today. Three well known characters are added: Kagura, Terumi, Kokonoe. The game has been rebalanced, many special moves have changed and some characters feature new techniques. 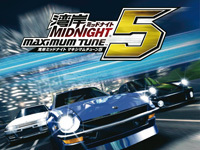 Wangan Midnight Maximum Tune 5 is out today, a little more than 2 years after the previous episode. A new interesting game mode has been added: the "Extreme" mode where the course is reversed and all information is hidden. It promises very tactical racing! As usual, new cars are added to the line-up: Toyota 86, Subaru BRZ, Nissan Skyline RS-X, RUF Rt35, BMW M3 and Mercedes-Benz SLK. A new area is open: Fukushin (which includes Shibuya, Shinjuku and Ikebukuro). Yuzo Koshiro is still composing the game music with 8 new songs. 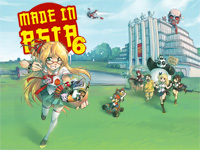 This is the 6th edition of Made in Asia show. Unlike previous editions, the event will last three full days: Friday (10am to 20pm), Saturday (10am to 20pm) and Sunday (10am to 18pm). As usual, Friday will be free from 18:00 to 20:00. Tickets cost €11 for a day. The show is still located at Brussels Expo in Hall 5 and 9. Artists present for autograph sessions are: Toshihiro Kawamoto, illustrator and chara designer on series like Cowboy Bebop, Wolfâ€™s Rain, Golden Boy, Full Metal Alchemist,... and for the first time in Europe Kenichi Yoshida, designer and animator on many series: Princesse Mononoke, Porco Rosso, Wolfâ€™s Rain, Scrapped Princess,... On the music side, the rock/visual kei Japanese duo Adams will begin their European tour at MIA with a concert on Friday and another one on Saturday. On Sunday, another duo that blends electro-pop and traditional Japanese music will be on stage: SAYA CONCEPT. Many Internet celebrities will also be present. Traditional activities will of course also be at the rendez-vous: cosplay, calligraphy, traditional games, martial arts, ... An entire hall will be dedicated to video games with tournaments on many platforms and games of all styles. As previous years, Arcade Belgium will be present with original arcade games including titles never seen before in Europe such as Chaos Code, Daemon Bride, Melty Blood Actress Again Current Code and Senko No Ronde DUO. Every day we will organize a tournament. On Friday: Puyo Puyo DA! (a musical game), on Saturday: Super Street Fighter IV Arcade Edition Ver.2012 and on Sunday: Chaos Code. On the booth, visitors will also find the cranes of the Jeux Américains lunapark and could try to catch pretty soft toys.